Is Li-Fi Your Next Wi-Fi? Simply put, Li-Fi is a technology that uses ordinary, visible light to transmit sound and data. It is similar to Wi-Fi in what it does, but different in several important ways. More Space: There is a lot more spectrum available for Li-Fi than there is for Wi-Fi. Wi-Fi uses radio frequency – RF -- transmission, and there is only a relatively narrow slice of the RF spectrum allocated to it. As literally millions of people adopt and use Wi-Fi every year, that slice of the electromagnetic spectrum is rapidly being used up. Any reasonable forecast of online communication over the next ten to twenty years shows that there just isn’t enough space there for all of us and all that we want to do. The visible light spectrum is 10,000 times as large as the portion of the RF spectrum available to Wi-Fi. That means that if we take all of the Wi-Fi traffic generated by one million users, there’s enough space available in the visible light spectrum for ten billion users at that level. More Speed: Li-Fi is wicked fast. To be precise, a Li-Fi-enabled light bulb has been used in a laboratory test to transmit data at speeds as fast as 1 gigabit per second (Gbps). That’s about 100 times faster than Wi-Fi. And, in theory, Li-Fi should be capable of speeds up to 2.56 Gbps. If you’ve ever been frustrated by waiting for a movie to reload or for a multiplayer game to react to your input because your Wi-Fi wasn’t fast enough, that shouldn’t be a problem with Li-Fi – at least until the developers and producers add to their games and movies to take advantage of what Li-Fi can do. Li-Fi won’t work in as many places as Wi-Fi will. Wi-Fi can interfere with other radio traffic in the area, and that traffic can interfere with it, but that interference is relatively rare and, usually, controllable. On the other hand, Li-Fi, as it’s currently being developed, can be interfered with by ordinary sunlight. Right now, Li-Fi can even be disrupted indoors if there is enough sunlight coming into the room, but researchers are working on filters which they expect will solve that problem. Li-Fi outdoors during the day? Not so much. Li-Fi won’t go through walls either. Anything that stops light stops Li-Fi. That shouldn’t be a major problem, though, if you can install at least one Li-Fi-enabled light bulb in each room. The problem with that is that that light has to be on for the Li-Fi to function. This shouldn’t be a problem in most work spaces and public places. But if you want to use your Li-Fi to stream a movie to your TV or tablet in your bedroom, it might be. That said, I haven’t seen anything that says how bright the light has to be. It might be possible for Li-Fi to work with a 25-watt-equivalent LED bulb, or even an LED night light. I don’t know. The latest tests on Li-Fi have gotten the transmission distance up to 10 meters. That should be far enough – almost 33 feet – to work in most rooms in our homes But research is also being done to increase the distance, so that it will cover more of an open office, restaurant or factory floor, for example. Right now, since Li-Fi is primarily a laboratory tool, each Li-Fi-enabled light bulb is fairly expensive. But all that an LED light bulb needs to become a Li-Fi transmitter is the addition of a small chip to modify the power enough to put the data onto the emitted light. It doesn’t seem like an enormously difficult task to manufacture those chips at a reasonable cost, given all that we have already been able to do with chips. But it is a necessary step. After all, Thomas Edison didn’t actually invent the incandescent light bulb. What he did do was develop an incandescent bulb that would reliably last more than 10 hours, and that was affordable. Only then did those bulbs become attractive to the public. 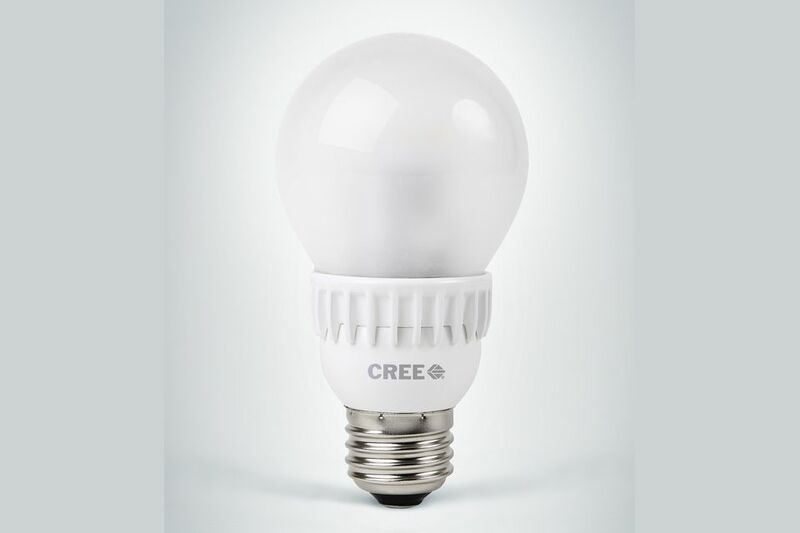 We already know that LED light bulbs last a very long time – more than two decades in most cases. And we know that we can turn out many of the chips we need at a very low cost per chip. So that just leaves the cost of installing a chip in each LED bulb that we want to make into a Li-Fi transmitter. I’ll bet that can be done.